Please click on "MORE CHAIRS" to view the many pages of chairs available. Free Delivery & Assembly Within Singapore. Model: Baron B022HL (High back leather armchair with PU armrest). Fitted with knee-tilt, gas-lift mechanism, polished aluminium castor wheel base. Upholstery in black color half-leather. Model: Baron B023ML (Mid back leather armchair with PU armrest). Fitted with knee-tilt, gas-lift mechanism, polished aluminium castor wheel base. Upholstery in black color half-leather. Model: Duke D010HL (High back leather armchair with PU armrest). Fitted with knee-tilt, gas-lift mechanism, polished aluminium castor wheel base. Upholstery in black color half-leather. Model: Duke D011ML (Mid back leather armchair with PU armrest). Fitted with knee-tilt, gas-lift mechanism, polished aluminium castor wheel base. Upholstery in black color half-leather. Overall size: 710W x 690D x 1160-1220mmH. 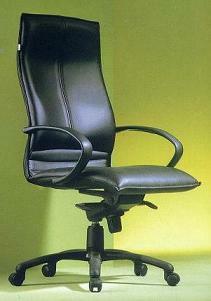 With quality knee tilt mechanism, polished die-cast aluminum 5-prong base & leather padded armrest. 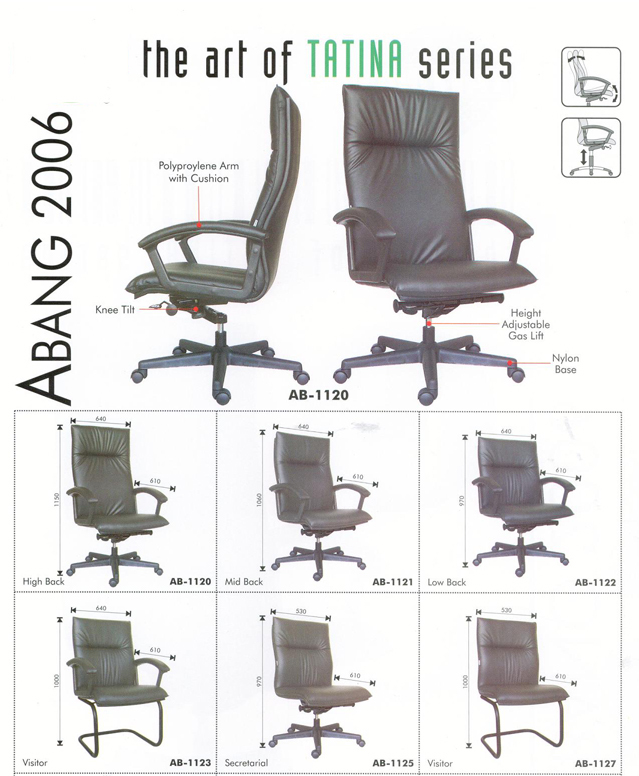 With quality knee tilt mechanism, polished die-cast aluminum 5-prong base & leather padded armrest. Model: Leather Series I-A (High back with padded armrest, synchromatic mechanism, polished aluminium 5-prong castor wheel base). Available in vinyl / half / full leather upholstery. Model: Leather Series I-B(High back with padded armrest, knee-tilt mechanism, polished aluminium 5-prong castor wheel base). Available in vinyl / half / full leather upholstery.